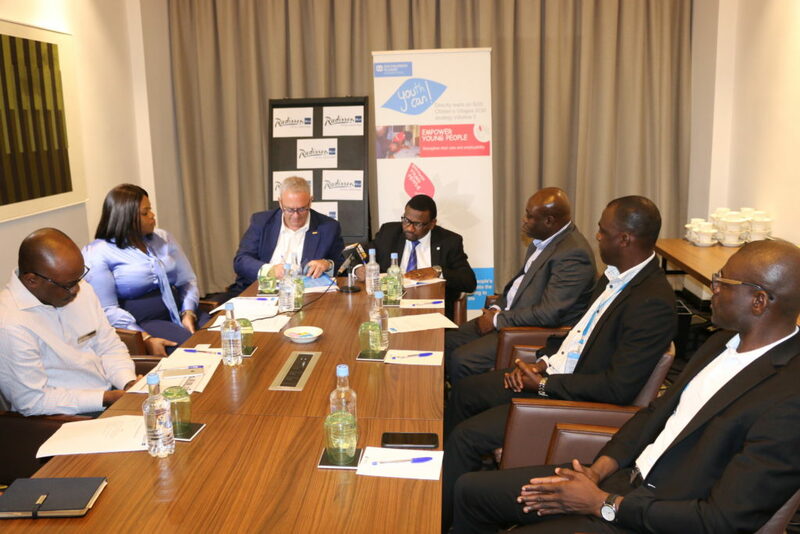 The MoU, which details the various areas of collaboration between both organisations, will see the leading hotel brand supporting the activities of SOS Children’s Villages in Nigeria, specifically in family care, broadening of local learning opportunities and extension of hospitality industry experience to youth participating in the SOS Children’s Villages Nigeria programmes. This will include childcare support, employability opportunities through internships and job placement, technical and career skills development as well as training and mentorship, in line with the broad objectives of the Sustainable Development Goals (SDG) and the global Strategic Initiatives of SOS Children’s Villages International. 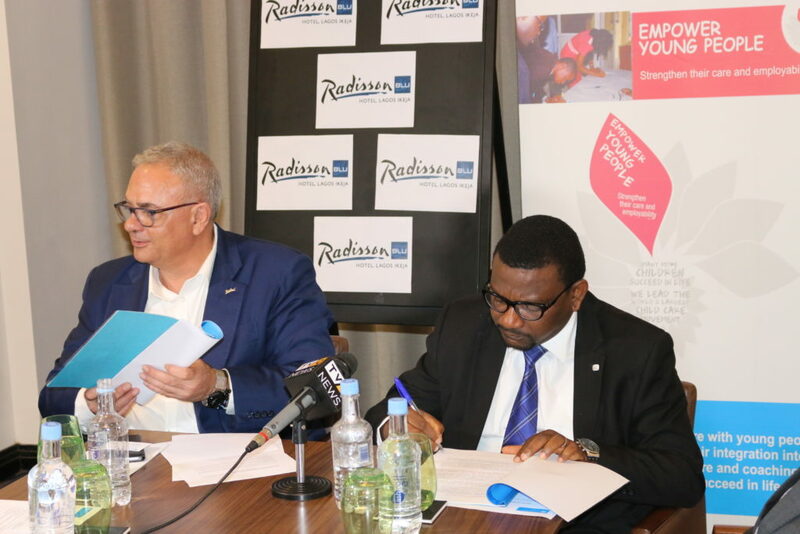 Speaking during the signing ceremony in Lagos on Tuesday 4th September 2018, the National Director of SOS Children’s Villages Nigeria Mr. Eghosa Erhumwunse said: “By partnering with Radisson Blu Hotel, Lagos Ikeja, SOS Children’s Villages Nigeria is fulfilling her key mandate of providing quality care to children who are at risk or who may have lost one or both parents and further helping to empower and improve the lives of young people in Nigeria. 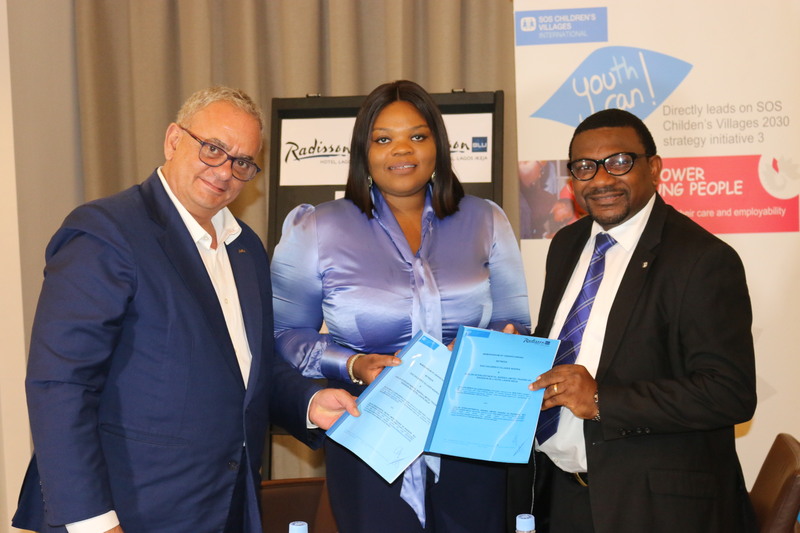 He also said “The partnership is coming at the heels of similar moves by SOS Children’s Villages globally, as part of the YouthCan! Campaign which we launched in Nigeria in 2017”. 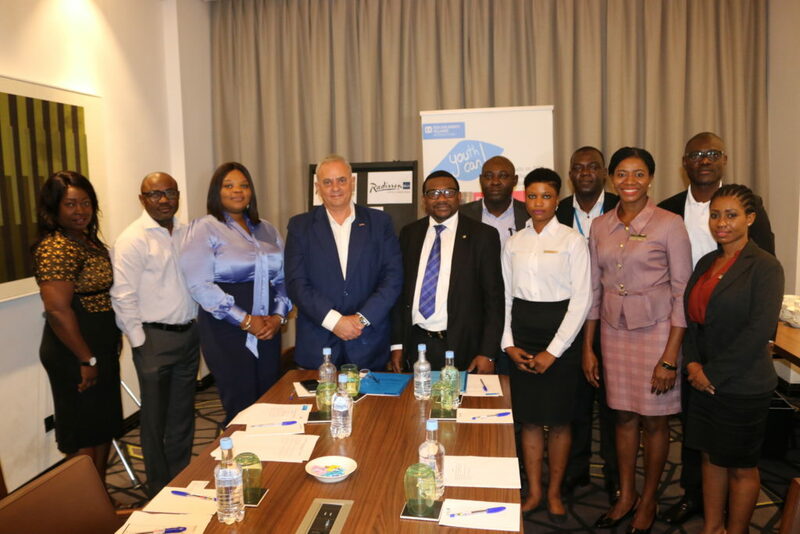 Also speaking at the event, Mr George Balassis, General Manager of Radisson Blu Hotel, Lagos Ikeja said “we are glad to be part of this partnership with SOS Children’s Villages Nigeria enabling us to reach out and provide better future for vulnerable children”. In Nigeria, statistics show that 42 million people are aged between 15 and 24 years, comprising more than 20% of the total population. Demographic rates are growing fast, which will increase the pressure the country faces in terms of job creation. Of this, youth make up 81.2% of the working-age population but 33.1% of the total number of unemployed.